Internationally we are recognised for our unique process of turning ironsand into steel, but more importantly we are also recognised for our dynamic and unique team of people who drive our company towards success everyday. 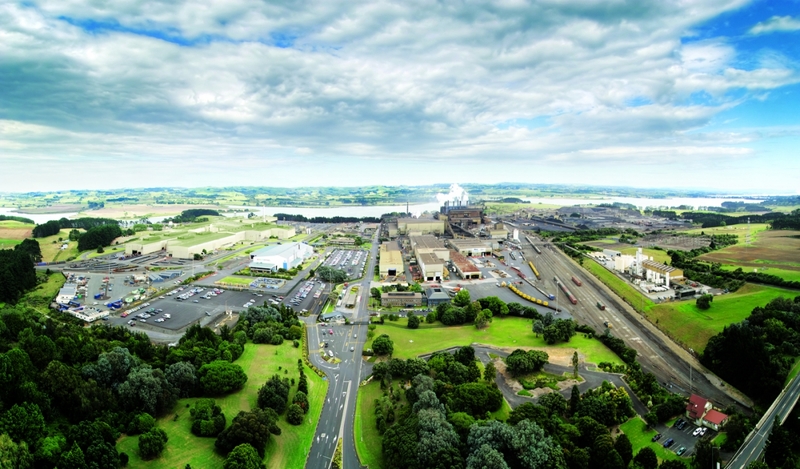 Being a part of New Zealand Steel provides not only the chance to join a company with 50 years of steel manufacturing history but also the opportunity to be a part of an extended global network. As New Zealand Steel is a subsidiary of the BlueScope group our people have the opportunity to forge relationships with peers in related organisations around the world, including Australia, Asia, North America and the Pacific. Almost 25% of our employees have trade-related qualifications, and each year a number of trade trainees spend time on site as part of their training. Click here to learn more about trades and apprenticeships at New Zealand Steel. If you are a student of engineering and technology, click here to see what scholarships we offer for tertiary education. We offer a first class Graduate Programme that includes a variety of exciting and challenging activities across our manufacturing steel mill as well as our mining operations. Click here for more information on the graduate programme and to meet our current graduates. A large portion of our team take advantage of the rural lifestyle that is afforded to them by working out in Glenbrook. 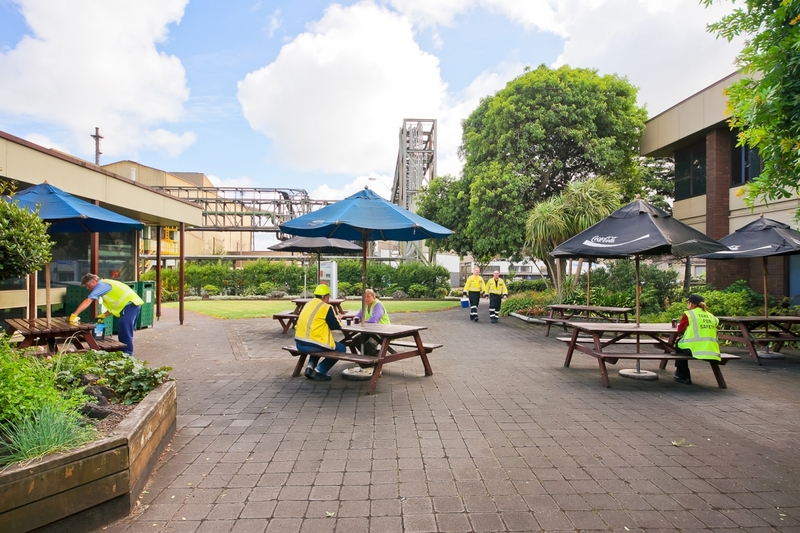 Being away from the hustle and bustle of the city is valued by many of New Zealand Steel's employees who populate the local areas near the mill and take advantage of the green country side and west coast beaches. We also have numerous employees who prefer city living and find the commute to Glenbrook an easy drive, with traffic at a minimum. Generous leave entitlements - which include long service leave and some paid parental leave. Employee share plans - which are sometimes offered at the discretion of the Board of Directors. A fully staffed 24-hour medical centre, subsidised cafeteria, and credit union at the Glenbrook site. For information on current vacancies, please view our vacancies page. Have attached an up-to-date CV that reflects the role they are applying for. Include a cover letter highlighting why they would be successful for the role and how they meet the specified requirements and or experience. You have one chance to make a first impression. The purpose of a cover letter is to persuade an employer to read your resume. Customise your letter so it is specific to the position and company. Insert the job title and reference code as advertised, in bold or underlined beneath the salutation. Immediately connect with your reader by opening with 'Dear' using the hiring manager's name. You may need to do some research to obtain this information. Use 'Dear Sir or Madam' if this is not available. You only have a sentence or two to catch the reader's attention, so ensure your opening lines are effective. A resume is more than a summary of your professional experience, it is a tool with which you market yourself and it can be the key to securing an interview. Keep the format clean and professional and arrange your information so that it is practical and easy to read. KEEP IT SHORT: The most important factor to remember when preparing a CV is to keep it brief and factual. Make it no more than five pages long (even five pages these days is considered long). Put your work history in chronological order starting with the most recent job first. MAKE YOUR CV REFLECT THE JOB ADVERTISEMENT: If it asked for five main qualities, make sure they're on the first page. Reflect the words used in the job advertisement. If they talk about "human resources" don't refer to your time in "personnel". GET IT CHECKED: Ask someone else to critically examine your CV before you submit it. Make sure you choose someone who will give you constructive criticism. Personal details: write your full name, address, email address and phone number. Career or personal objective: state your goal and the skills that make you suitable. For example "I'm looking for a career, preferably outdoors, where I can develop my skills. I'm hardworking, strong, versatile and in good health." Key Skills: list your work-related skills and abilities. Some of these might be skills you learnt outside work. You may like to include unpaid, community or family work and say how these skills might suit the job you're applying for. Work experience: list the jobs you've had, including part-time and voluntary work, starting with the most recent. Write the job title, the employer's name, the date you started and finished, and a brief description of what your duties included including any achievements. Education and training: list your schooling and other training. Give details of technical and trade certificates, and any study or courses you've done. Hobbies and interests: (Optional) Give brief details of your hobbies and interests. You could also include any voluntary work you've been involved with. Referees: List two to three people who can talk about how well you've worked in the past, but check with them first if it's alright to put them as referees. They may be former employers or someone from work or your community who can vouch for you. Write their name, company or organisation they work for, position and contact details. A future employer may want to contact your referees to verify what you've written in your CV and answer any questions they may have about you. The job interview is probably the most important step in the job search process. It's your chance to show the company that you're the best person for the job. The following job interview tips should give you a good head start on the competition! An interview is a two way conversation and provides an opportunity for both parties to determine 'fit' for the role and organisation. New Zealand Steel uses behavioural interviews. Behavioural interviews are based on the theory that past performance is a good predictor of future behaviour. A behavioural interview is a more interactive approach and allows the interview panel to get information about real life situations you have faced and how you performed and reacted. Behavioural questions take the format of "Tell me about a situation..." or "Describe an event where..."
When asking behavioural questions the panel will be listening for specific answers to the questions. Candidates are encouraged to respond to behavioural questions using the STAR technique. STAR is an anagram for Situation, Task, Action and Result. Situation - There should be a brief description or contextual statement of the past situation and environment that you were faced with. Tactics/task - You should describe the actual tasks you were responsible for or the tactics you used to carry out the tasks. This clarifies what you were intending to do. Action - You should also describe when, where, why and how the task was carried out. This part of the answer should describe your behaviour, skills and expertise. Result - This should provide the panel with an outcome that was actually achieved because of your tasks and action. Know the exact time and place for the interview, the interviewer's name and their title. Never be late - it is inexcusable! Find out all you can about the company by visiting their website and use your networks to provide further insight. Refresh your memory regarding details of your past and present employers and your work history in these companies. Take a copy of your resume with you to the interview as a point of reference. Look the prospective employer in the eye while you speak to him/her. Give yourself time to think about each question posed to you before you respond. Make sure you provide the information they need. If you do not understand a question, ask for it to be explained or repeated. Pay particular attention to how you will describe your most important achievements. Be concise, factual and sincere. Be a good listener as well as a talker. Remember to smile! Pay close attention to grooming and dress. Standard business attire is normally appropriate. Don't answer questions with a simple Yes or No. Expand wherever possible using previous relevant situations to support your reply. Don't ever make derogatory remarks about your present or previous employers. If you are unhappy with them, try to phrase your remarks positively: "my needs and those the company could provide were different". Don't enquire about salary, holidays, bonuses or retirement benefits at the initial interview unless asked. However you should know your market value and be prepared to specify your required salary or range. Don't panic if there's a silence (even though it may seem like an eternity!). Take a few seconds to think about your answers. We recognise that privacy is important to you, and that we have a responsibility to protect any personal information which you share with us. We will only use your personal information for the purpose of assessing your application for employment with New Zealand Steel. If your application is successful, this information will be transferred into our HR information system. The information we collect from you will be handled sensitively and securely. A Privacy Collection Statement is included within our online application process.